Cannabis criminal, civil, and tax law enforcement in California is becoming more robust than ever in 2019, judging by a flurry of recent arrests and closures across the Golden State. Gov. Gavin Newsom announced in his state of the state speech Tuesday that he’d be re-deploying some National Guard troops to public wildlands dotted with illegal cannabis farms. The move came after state regulators at the Bureau of Cannabis Control announced their first search warrants of the year on Friday. 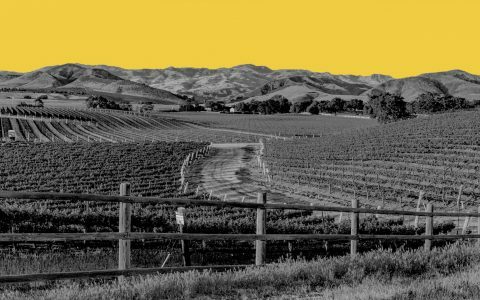 Meanwhile, local sheriff’s in central California have shut down two licensed farms so far in 2019—an unprecedented milestone. With medical cannabis laws now clarified, police are targeting unlicensed farmer’s markets and dispensaries, as well as purely commercial-scale traffickers like indoor grow houses in Southern California and hash labs in Humboldt County. California has an 80-year-old, multi-billion dollar illicit cannabis market that meets both local and national demand. By contrast, state-licensed sales under the law set down by Proposition 64 are a little over one year old. There are more than 600 licensed stores, with more coming online every day. But the illicit market continues to serve the vast majority of the state’s cannabis buyers. And an estimated four out of every five pounds of cannabis grown in California gets trafficked east. Local representatives from the affected regions lauded the move. Last year federal officials wrapped up Operation Forest Watch as part of CAMP in September. It included over 80 investigations of suspected marijuana cultivation on federal public lands. Using both aerial and ground spotting, police made over 77 arrests, seized 82 firearms, destroyed about 638,370 plants, and more than 12 tons of processed marijuana plus other drugs. 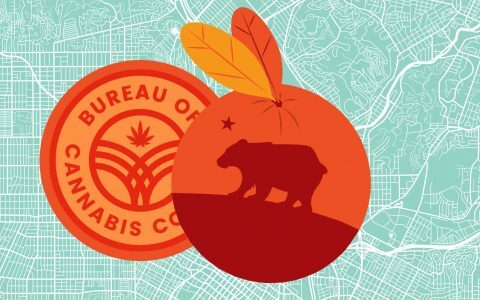 Far from the rugged northern wilderness, state regulators at the Bureau of Cannabis Control told industry members in San Francisco last Friday that 2019 will be marked by an increase in enforcement. On Friday, BCC communications director Alex Traverso announced the closure of two illicit sellers: a Sacramento-area delivery service and a Los Angeles retail store. The Bureau of Cannabis Control and the Department of Consumer Affairs’ Division of Investigation-Cannabis Enforcement Unit (DOI-CEU) served a search warrant Jan. 31 on Nollie Green-Blu Solutions, an unlicensed cannabis delivery company in Fair Oaks, CA, seizing over $250,000 of flower and manufactured products. The DOI-CEU also assisted the Los Angeles Police Department (LAPD) in serving a separate warrant Feb. 5 on Smoking Aces, an unlicensed dispensary in Los Angeles, seizing of $27,637 in cannabis products, and two firearms. Police arrested arrested six at the scene. 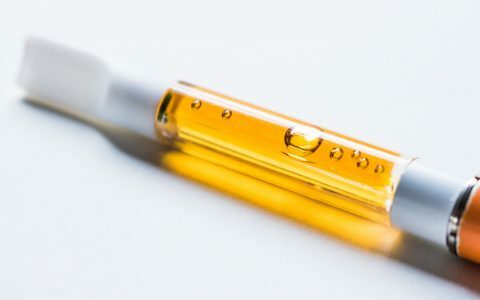 With the pathway to legality now established for cannabis growers and sellers, Traverso said the BCC is stepping up its complaint-driven enforcement actions. Many of those complaining are licensed sellers who resent being undercut on taxes and regulations by the unlicensed market. Another crackdown driver is tax revenue. Year one cannabis sales, excise, and cultivation tax revenues came in hundreds of millions of dollars below projections for 2018. Final totals for 2018 come out this week. 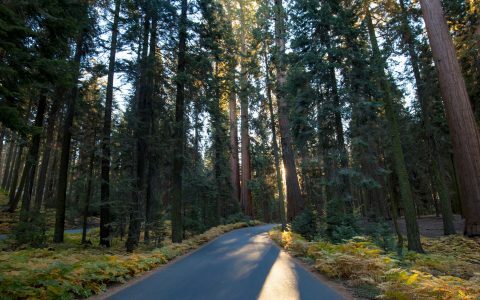 Tax revenue could one day total $1 billion per year in California. State regulators’ efforts are being magnified by locals efforts. 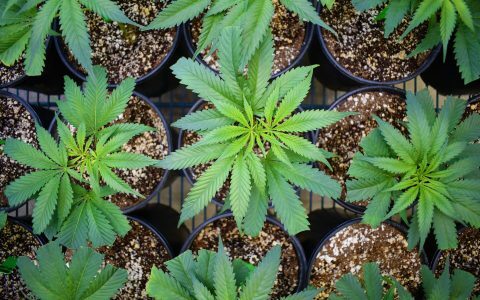 Santa Barbara County has emerged as a cultivation hotbed, and the sheriff’s department is combing through local licensee rolls, looking for fraud. So far, a new Santa Barbara County Cannabis Compliance Team has shut down two licensed farms—a new first in the state. 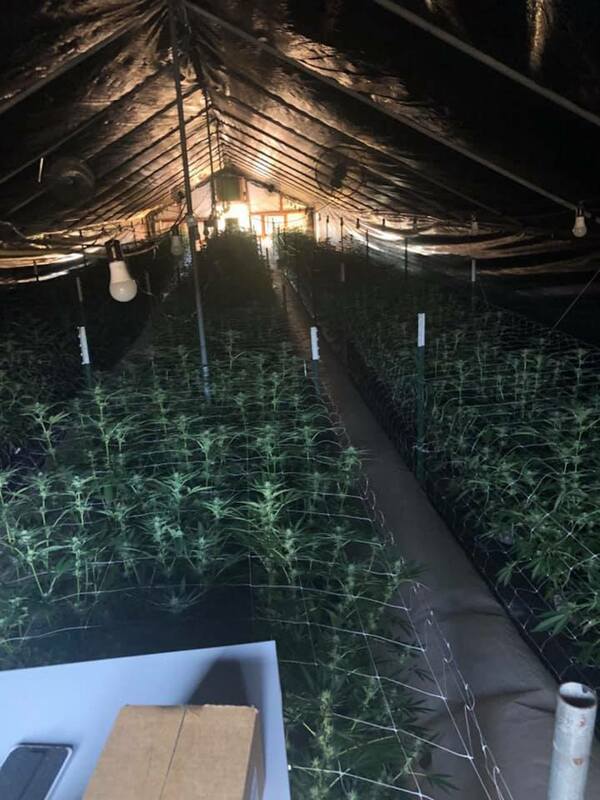 On Jan. 31, Santa Barbara Sheriff’s Office deputies eradicated 22,420 plants, seizing 1,420 pounds of dried or drying herb, 60 pounds of packaged cannabis, and several unregistered firearms, including two guns reported stolen. The Department alleges a four-month investigation located a licensed farm in Carpinteria, CA, whose owner lied on his permit application and failed to follow shipping regulations. On Feb. 11, Santa Barbara Sheriffs were in Lompoc, CA, destroying 1,300 plants and 500 pounds, alleging the farmer fraudulently obtained his license. The farmer faces perjury and illegal cultivation charges. 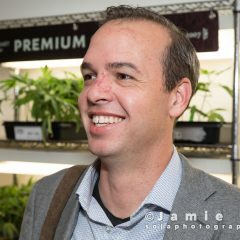 Past medical marijuana activity like collective sales and distribution is now clearly illegal, under medical regulations from 2015. That’s forcing the closure of popular farmer’s markets and unlicensed shops. Down in surf city San Diego, police busted up the ‘Ganja Galaxy’ farmer’s market Jan. 25, seizing 13 firearms, about $100,000 in cash, 90 pounds of high-grade marijuana, and 6,000 marijuana edibles and concentrates. Police arrested the market promoter, and cited and released 45 vendors for possession for sale and unpermitted sales. Local police in San Diego continue to stamp out unlicensed dispensaries, which had until January to get a license under Prop 64. The San Diego Sheriff’s Department closed two unlicensed stores in the county this February, “by enforcing building-code requirements involving illegal or improper occupancy in conjunction with the administrative abatement process,” officials there stated. Deputies and county code-compliance officers served abatement warrants at Green Valley, and 24/7 Collective. The actions came after “numerous complaints from the community about both businesses (and their) unpermited operations,” Sheriff’s Sgt. George Crysler stated. Up in the cannabis growing heartland of Humboldt County, civil code enforcement and sheriffs work hand in hand locating and eradicating commercial-scale illicit operators. On Jan. 11, deputies raided an unpermitted hash lab, eradicating about 991 plants, more than four tons of cannabis trim, 277 pounds of bud, and 26.5 pounds of butane hash oil. Deputies also seized over $13,000 in cash. Much of America’s cannabis is grown indoors and out in California. That includes clandestine grow houses in urban and rural areas, in illegal farms on unattended private or wild land. Police in Southern California announced two such grow house sweeps so far this year, seizing 4,500 plants. 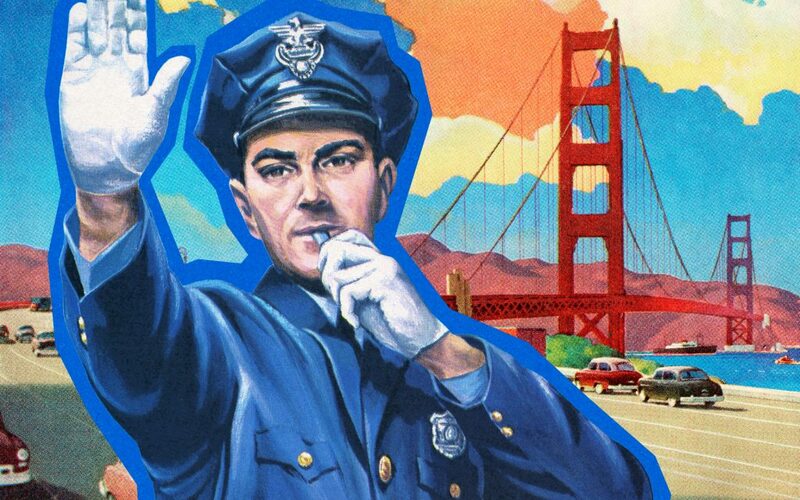 Californians will see enforcement efforts ratchet up further this year. Civil code enforcement as well as tax collection officers are now on the cannabis beat, with budgets much bigger than the police. Rather than making arrests with heavily armed SWAT teams, these tax and code officers use fines, levies, and seizures to shut folks down. 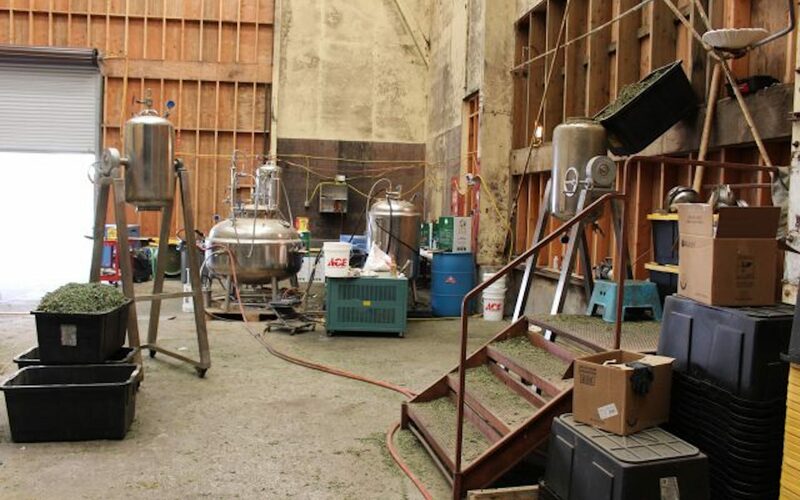 The Humboldt hash lab announcement noted more than ten civil code violations totaling more than $355,000 in fines—per day, per violation—for things like unauthorized storage of hazardous waste.